Technical writing and Information design services. I have over 20 yrs exp in software development (UX, IA, API documentation), knowledge management and content creation & editing. Cynthia Lockrey offers a range of public relations services aimed at helping people share their stories and have their voice heard! Helping businesses achieve their "15 s. of Fame" with creative, engaging video. Be heard, be seen, be found. Create video content that increases sales, customer loyalty and business! 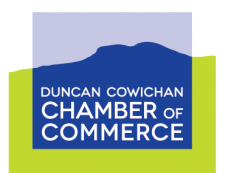 Social Media training for Cowichan Valley businesses, social media event marketing, blogging courses, and more from the Cowichan's leading social media marketing company. Kurt Pyrch Management & Consulting Ltd.